but is wrought with exciting surprises. The Silk Road was not solely used for commercial trade, but was also a point of cultural exchange between various ethnic groups in China, Central Asia, west Asia, and Europe. Thus the road is littered with ancient treasures, stunning works of art, and unique styles of architecture. This tour begins at the very source of the Silk Road, starting in Xi’an and ending in Ürümqi. From towering mountains to the sandy expanse of the Gobi Desert, we’ll cover all kinds of exotic terrain. 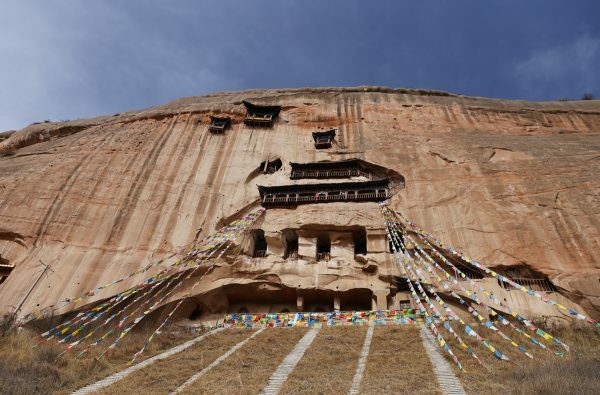 Along the way, we'll track the progress of Buddhism and Islam's historic entry into northwestern China through the development of Buddhist grottoes and Islamic architecture. We'll focus not only on the historical importance of the Silk Road, but also the role it played in transforming China into an ethnically diverse nation. 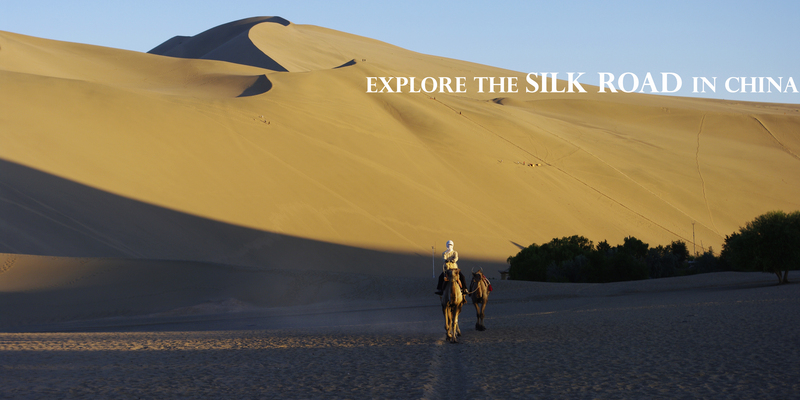 Join us as we uncover the true depth of the Silk Road and its impact. 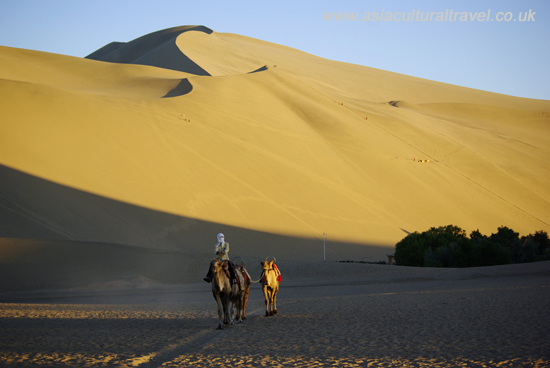 Read more about the Silk Road in China. Nestled deep within the Gobi Desert, about 6 kilometres (4 mi) south of Dunhuang, lies an oasis blanketed with such lush grasses and brimming with such shimmering waters that one could easily mistake it for a mirage. It has supposedly existed for over 2,000 years and was given the name Yueyaquan or “Crescent Lake” during the Qing Dynasty (1644-1912). 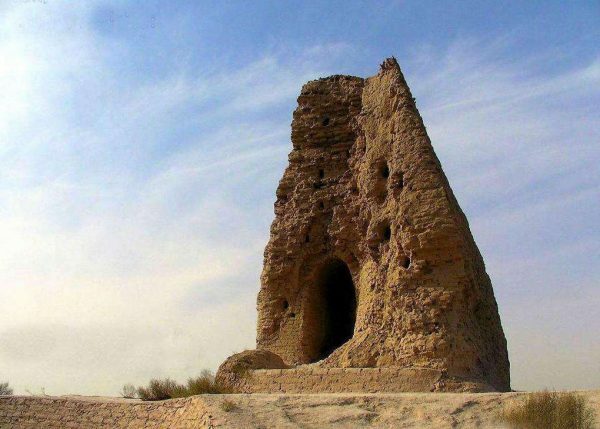 In its heyday, it played a focal role as one of the major rest stops along the ancient Silk Road. One can only begin to imagine the number of faces, wares, and stories this lake has born witness to in its lifetime. Its auspicious location and low altitude means that sand from the dunes, which surround it on all sides, are carried over the lake by cross-winds rather than falling into it. This has saved the lake from becoming smothered and allowed it to survive for so many years. Read more about the Crescent Lake. With its vibrant colours and delicate ripples, the Zhangye Danxia Landform is about as close as you’ll come to a living watercolour painting. Over a period of more than 24 million years, sandstone and other minerals have been deposited, weathered, and shaped to form brightly coloured outcroppings and hills that are almost beyond belief. Nicknamed the “Rainbow Mountains”, this surreal scenery has been featured in news articles across the globe. Nowadays the Zhangye Danxia Landform Geological Park is the best place to get to grips with this alien terrain. 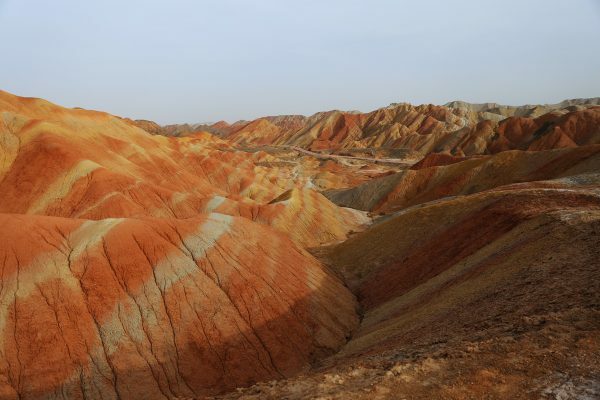 The Linze Danxia Scenic Area just 30 kilometres (19 mi) west of Zhangye forms the core of the park and is the most popular area, exhibiting the famous “layer cake” hills whose perfect stripes of colour resemble a well-made trifle. Just don’t go trying to take a bite out of it! Read more about the Zhangye Danxia Landform. 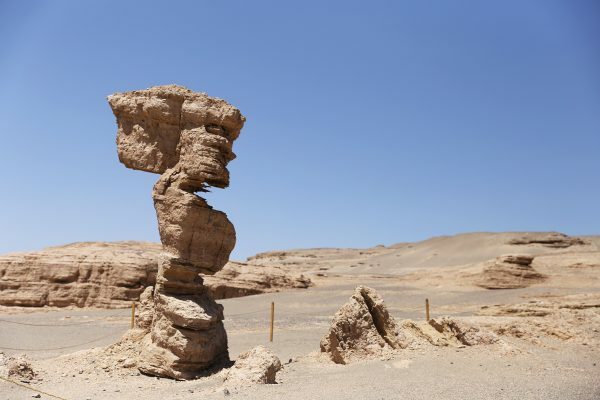 Yardangs are bizarrely shaped rock formations that are made when wind erosion strips away soft material, leaving behind only the hard rock, and unsurprisingly Dunhuang Yardang National Geopark is full of them! These uniquely strange shapes formed over a period of 700,000 years and represent the largest collection of yardangs in China. It is sometimes referred to locally as the “Town of Demons”, because the noise of the wind whipping past the yardangs supposedly resembles the sounds of ghostly screaming! And it seems that ghostly screams aren’t the only thing haunting the park, as several of the rock formations, known as “Stone Bird”, “Camel”, and “The Golden Lion Welcoming His Guests”, look like creatures frozen in time. Let’s just hope the lion’s lack of movement doesn’t put his guests off! Surrounded by the eerie silence of the desert and faced with the alien shapes of the yardangs, it’s no wonder people have become fascinated with this spooky place. Read more about Dunhuang Yardang Landform. At the grand old age of 2,300 years, the Jiaohe Ruins represent one of the oldest earthen cities still in existence. 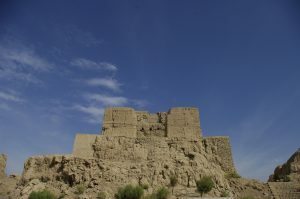 This ancient city rose out of the dusty desert sometime during the Han Dynasty (206 BC–220 AD) and became one of the focal oasis towns along the Silk Road. Unlike the Gaochang Ruins, which are now virtually unrecognizable as a city, the Jiaohe Ruins are in phenomenal condition thanks to the arid climate and their isolated location. Nowadays visitors can physically walk through the remaining three districts of the city, admiring the Buddhist temples, governmental offices, and aristocratic mansions that once played host to a population of over 6,500 people. A particular treat is the Stupa Grove in the northernmost part of the city, which is home to over 100 stupas that date back to between the 5th and 7th centuries. As you tread the sandy tracks that thousands of merchants have done before you, you’ll undoubtedly be swept back to a time of danger, adventure, and lots of bargaining! Read more about the Jiaohe Ruins. 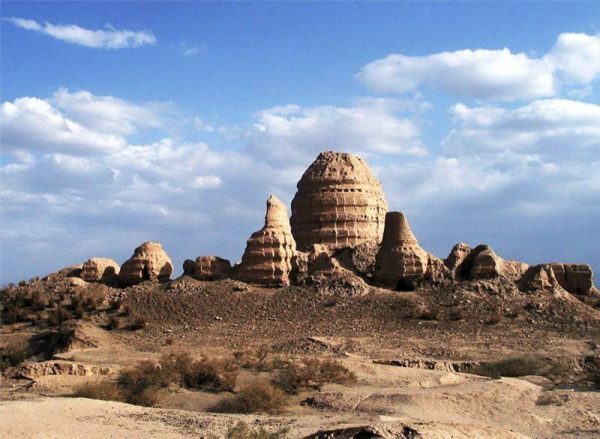 Located within the vast and hostile expanse of the Gobi Desert, the Suoyang Relics have miraculously managed to avoid being buried beneath the sands of time. These relics are all that remain of an illustrious Silk Road oasis city known as Suoyang, which was established over 2,000 years ago! The city was first founded during the Han Dynasty (206 BC-220 AD) under the name Kugu, but its name was changed to Suoyang during the Tang Dynasty (618-907 AD). According to legend, a famous military general called Xue Ren-Gui was passing through the area with his army on his way to conquer the West when he tragically ran out of supplies just outside of the city. Luckily, his troops came across an edible plant known as Cynomorium or “Suoyang” (锁阳) in Chinese and this is what saved them from an untimely death. From then onwards, the city was named Suoyang after this life-saving plant! 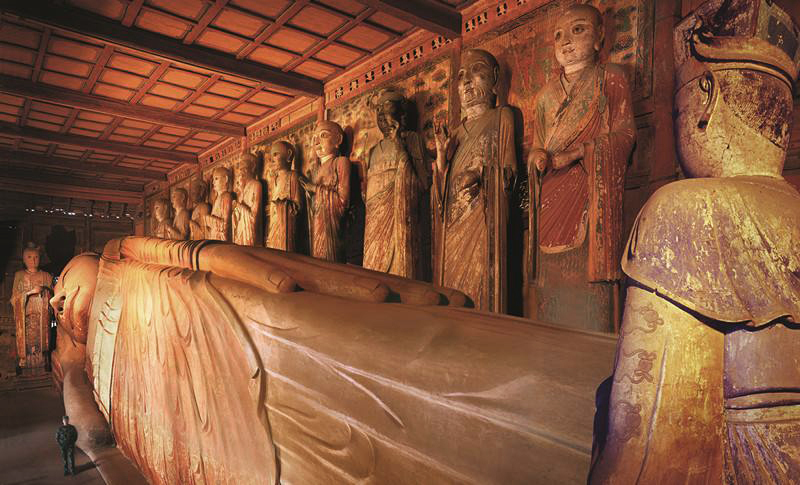 The Mogao Caves are a veritable treasure trove of ancient Buddhist art, boasting 492 caves that were each hand-carved into the cliff-face of Mount Mingsha and used to store some of the finest works of religious art in history. From hand-painted clay statues to vivid murals, this cave complex documents the progression of Buddhist cave art from the charmingly simple to the breathtakingly complex. Sometime during the 4th century, a monk named Le Zun supposedly had a vision of a thousand Buddhas bathed in golden light and thus began building the caves. By the Tang Dynasty (618-907) there were over 1,000 caves, so Le’s vision did in fact come true, give or take a few caves! Although only just over 400 of these caves have been uncovered to date, perhaps the most phenomenal discovery came in 1900 when a Taoist monk named Wang Yuan-lu pushed through a walled-up cave and found a vast ancient library. Of the 1,100 bundles of scrolls and over 15,000 paper books that were excavated from this cave, several have now made their way into the collections of overseas museums. But plenty more still remain at the site’s own museum, where visitors can connect with the ancient civilizations that once dominated the Silk Road...Read more about Mogao Caves. The drooping cypresses, wild flowers, and verdant grasses that surround the Maiji Mountains are a natural lover’s paradise, rich with inviting sights and fragrances. Yet break through the forest or look up through the trees and you’ll be met with the most awe-inspiring sight of all, a 16-metre (52 ft.) tall statue of Buddha that is over four times the size of a fully grown African elephant! This is just a small portion of the Maijishan Grottoes, a complex of 194 caves that have been cut directly into the cliff-face and filled with over 7,200 Buddhist sculptures and 1,000 square metres (10,700 sq. ft.) of intricate murals. This colossal project began sometime during the Later Qin Dynasty (384-417 AD) but didn’t reach its peak until the Northern Wei (386-535) and Northern Zhou (557-581) dynasties. Construction and renovation of this cave complex continued well into the Ming (1368-1644) and Qing (1644-1912) dynasties, representing over 1,000 years’ worth of effort and artistry. Thanks to the Silk Road, Central Asian culture rapidly disseminated across northern China and this can be seen most strongly in the artistic style of the earlier caves. The name “Maijishan” literally means “Corn Stack Mountain”, but don’t let that fool you; this scenic sight is anything but corny! Read more about Maijishan Grottoes. Sprawling along two cliffs that face each other from across the shimmering Yulin River, the Yulin Grottoes are a collection of 42 hand-carved caves that contain over 250 Buddhist statues and a staggering 4,200 square metres (45,208 sq. ft.) of colourful murals. The name “yulin” (榆林) is derived from the jade-hued elm trees that line the bank of the river, which endow the area with a picturesque beauty. It is easy to see how this verdant place inspired Buddhist monks to produce such magnificent works of art. The first few caves were initially carved during the Tang Dynasty (618-907 AD) and the complex was added to right up until the Qing Dynasty (1644-1912), but arguably the grottoes most unique feature is that it contains grottoes that were constructed during the Western Xia Dynasty (1038–1227). Historians know very little about this mysterious empire, which was ruled by a Turkic people known as the Tanguts. The scenes depicted in these grottoes provide an unparalleled insight into what Tangut culture was like and have given historians invaluable examples of the Tangut language, which is related to the language of the Qiang ethnic minority. What makes these grottoes still more exceptional is that, alongside scenes of Buddhist significance, the murals within some of the grottoes contain secular images, such as tableaus of people making wine, dancing, milking cows, playing games, or getting married. Within these scenes, you can witness the traditional dress of several ethnic groups who inhabited this region throughout Chinese history. Nestled within the lush forests and flanked by the rippling rivers surrounding Mati Village, this temple complex dates back to the Northern Liang Dynasty (397-460) and is home to over 70 beautifully decorated shrines and caves. The main Mati Temple, sometimes referred to as the “Thirty-Three Layers of the Heavens”, is the most striking looking, as it features 21 grottoes arranged in 7 levels that were made to resemble the shape of a pagoda. The Bodhisattva Tara is enshrined inside this temple for visitors to worship. Stairwells, hidden passageways, and balconies lead to the many grottoes that were hand-carved from the cliff-face by diligent monks, providing stunning views from both the ground and the dizzying heights of the upper caves. 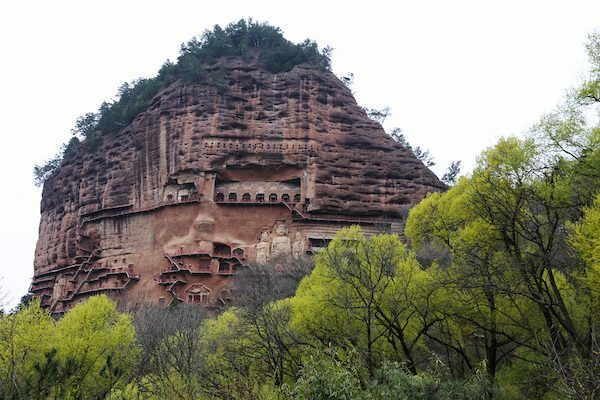 Of these grottoes, the Hidden Buddha Grotto is the largest one of its kind in existence in China! The Thousand Buddha Caves are easy to navigate, since they are primarily in the form of a square. There are four main sites within these caves that together contain over 40 Buddhist statues and 300 square metres (3,230 sq. ft.) of stunning murals, which date back to the Northern Wei (386–535 AD), Western Wei (535–557), Yuan (1271-1368), and Ming (1368-1644) dynasties. Read More about the Mati Temple. With a name like Giant Buddha Temple, it shouldn’t be too hard to guess what this place is famous for! Originally built during the Western Xia Dynasty (1038-1227), the Giant Buddha Temple in Zhangye is home to the largest statue of the Reclining Buddha in China. The temple itself is separated into four main areas: the Buddha Hall, where the giant Buddha is located; the Buddhist Art Exhibition Hall, where various Buddhist paintings and sculptures are exhibited; and the Sutras Exhibition Hall, where the original sutras collected within the temple are displayed. The eponymous Giant Buddha statue is 33 metres (108 ft.) high, 49 metres (161 ft.) wide, and 24 metres (79 ft.) long. To put that into perspective, it is over six times the height of a giraffe and about as long as the average blue whale! Visitors to the temple can also take a short detour to the Shanxi Guild, which was technically not part of the original temple but has since been incorporated into the complex. The Shanxi Guild was founded in 1724 during the Qing Dynasty and still contains a well-preserved gate, theatre stage, audience tower, bell and drum tower, memorial archway, wing rooms, and hall. The guild was used by traveling merchants from Shanxi province to help them network with one another, as well as making them feel more at home in this far-flung city. Read more about the Giant Buddha Temple. The Yuquan or “Jade Spring” Temple is as beautiful and harmonious a place as its name would suggest. It is so-called because it is located near to a spring that supposedly sprouts jade-hued water. The temple complex itself sprawls up a hillside within the city of Tianshui and is surrounded by drooping cypress trees, some of which are hundreds of years old. 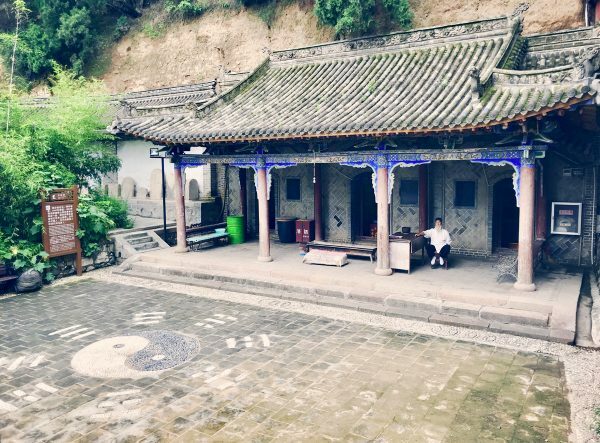 While the temple has been opened to the public, it is an active site of worship for Taoists and several Taoist priests continue to live at the temple. These priests are responsible for the temple’s maintenance and can often be seen burning incense, studying scripture, tending to the temple gardens, or simply sitting within the temple halls ready to proffer spiritual advice to passersby. Read more about the Yuquan Taoist Temple here. 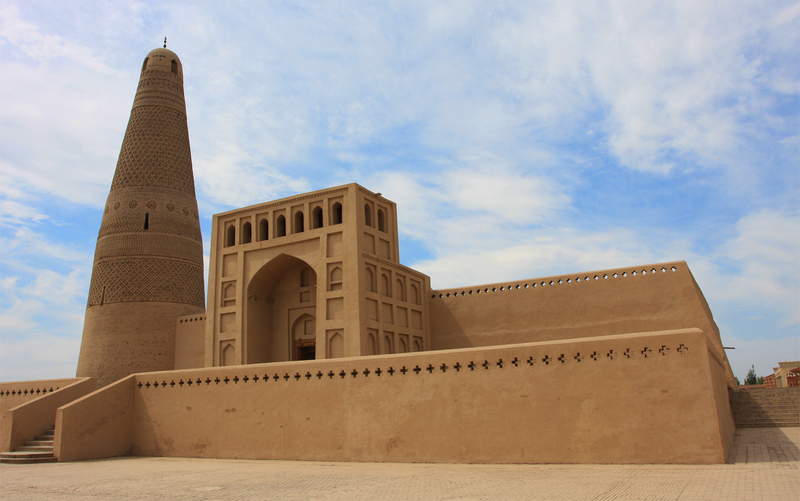 The Emin Minaret serves as a reminder of the country’s ancient past and the vital historical connections Turpan once had with Central Asia. The outer decoration of the Emin Minaret incorporates geometric patterns, which were typical of Middle Eastern Islamic architecture, but also includes floral patterns and waves, which were commonly used in Chinese architecture. 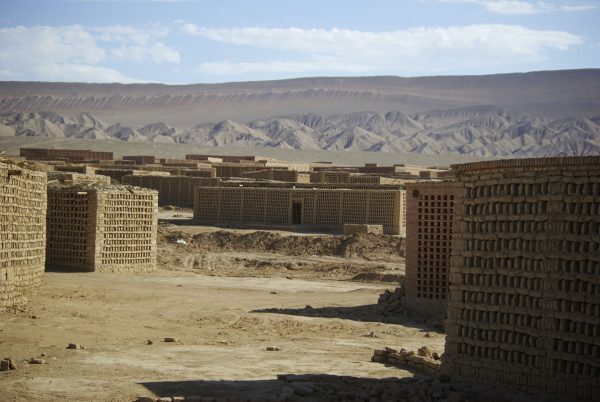 The Uyghur people who built these structures had been influenced by these two cultures in equal measure, which is part of what makes their constructions so unique. The minaret rests at the northeast corner of a rectangular mosque, which is in turn divided into an inner and outer hall. The outer hall is for use during the warmer months and is made of thin wooden pillars that support an exposed timber frame, making it large and spacious. The inner hall is predominantly used in winter and is thus fully enclosed, meaning it is far smaller. Read more about The Emin Minaret here. Heralded as the “First and Greatest Pass under Heaven”, Jiayu Pass was once one of the most important military fortresses along the Great Wall. Its grand nickname derives from the fact that it is the first pass at the western end of the Great Wall and, for hundreds of years, it was widely regarded as impregnable. Unlike other sections of the Great Wall, which were constructed from grey bricks, this section of the wall was made from loess soil that was tamped together in layers, giving it a markedly yellowish hue. 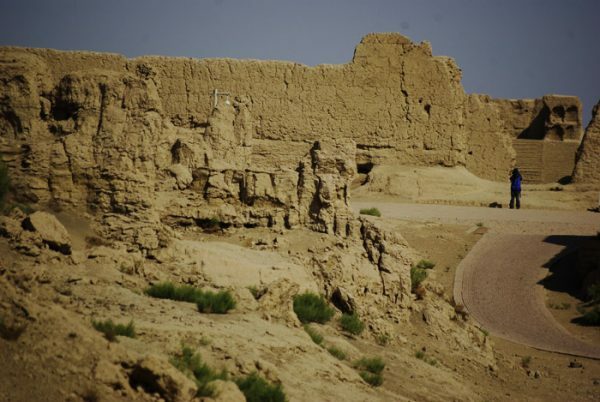 Just outside of Jiayu Pass, there are also some relics of the Han Dynasty Great Wall that can be found within the Gobi Desert. If you look out from Jiayu Pass, you can catch a glimpse of these relics resting below the shimmering snow-capped peaks of the Qilian Mountains. Read more about the Jiayu Pass here. 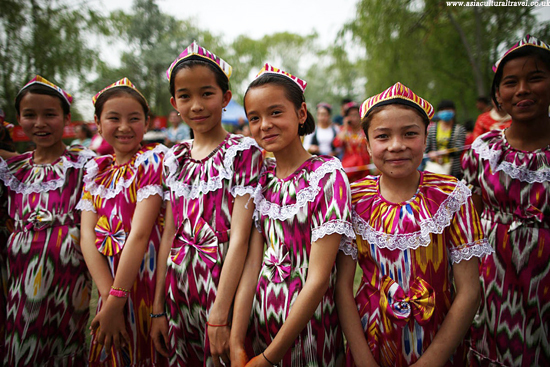 Ürümqi is often regarded as the cultural melting pot of Xinjiang, with constituencies of Han, Uyghur, Kazakh, Kyrgyz, Mongol, Hui, and Manchu people influencing the city’s image in almost equal measure. This has resulted in a delightful mingling of cultures that can be seen throughout the city, from the 200 mosques scattered throughout its expanse to its local cuisine rich with Central Asian spice. It’s a plethora of inviting sounds and smells, from the sumptuous aroma of freshly baked naan bread to the boisterous cries of people bargaining in markets. The city’s crowning jewel is undoubtedly the Grand Bazaar, a glorious throwback to its illustrious days as a Silk Road trading hub. Here people of all ethnicities gather to socialize, bargain, and hawk their handcrafted wares. Not far from this bustling market, the local Xinjiang Silk Road Museum is the ideal place to learn about this ancient trading route. With the calls of raucous traders in the background, you certainly won’t struggle to imagine what life on the Silk Road might have been like! Read more about Ürümqi. Prior to the Ming Dynasty (1368-1644), Xi’an was known as Chang’an, which means “Long-Lasting Peace”. This noble city was one of the Four Great Ancient Capitals of China and served as the country’s capital for 13 feudal dynasties, so no wonder peace was their main concern! 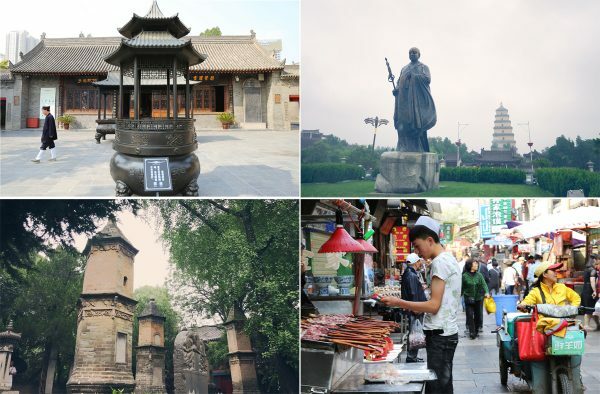 Nowadays, Xi’an is probably most famous for being the starting point of the ancient Silk Road. There is a large concentration of ethnically Hui people in the Muslim Quarter of the city. In fact, Xi’an is a well-known hub for the three most important religions in China: Buddhism, Islam, and Taoism. During our trip, we will explore three temples in this ancient city. Read more about Xi'an. The Giant Wild Goose Pagoda, or Dayan Pagoda, is a true monument to Buddhist culture and architecture. It currently stands at a massive 64 metres (210 ft.) and is seven storeys high. It is square in shape, in-keeping with the Tang-style of architecture. In 2014, due to its impressive stature and rich history, it was made a UNESCO World Heritage Site. It is a place where modern-day Buddhists still practice their faith today. Yet it has not always been this tall, nor has it always been quite this impressive. Its history stretches all the way back over 1,000 years ago and details the fascinating story of how, thanks to the diligent efforts of the monk Xuanzang, Buddhism became a prominent feature in Chinese culture. 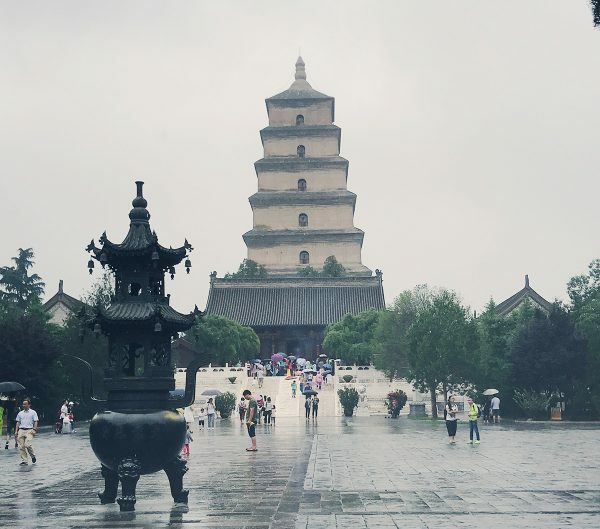 The history of the pagoda began during the Tang Dynasty, when the famous monk, translator and traveller Xuanzang entreated Emperor Gaozong to allow him to build a Buddhist pagoda in Da Ci’en Temple. As Xuanzang was the current abbot of the temple and as he was a well-respected scholar throughout the country, Emperor Gaozong conceded to his request and Xuanzang was able to personally supervise the building of the Great Wild Goose Pagoda. The original building was completed in 652 A.D. and was made of rammed earth with an exterior stone façade. Its main function was to house the sutras and figurines of Buddha brought to China from India by Xuanzang. Xuanzang had spent a phenomenal 17 years traveling through 100 countries to gather these relics, including 657 kinds of sutras. He then enlisted 50 other monks and scholars to help him translate 1,335 volumes of sutras from Sanskrit into Chinese. Alongside providing the temple with its sutra collection, this endeavour on Xuanzang’s part heralded a whole new era in the history of translation. Read more about the Giant Wild Goose Pagoda here. With their ability to bestow life and overcome the forces of evil, the 8 Immortals have captured the imagination and admiration of people throughout China for centuries. Think of them like the original Chinese superheroes! They have been a focal feature of Chinese mythology since the Han Dynasty (206 BC–220 AD) and have been particularly influential when it comes to the indigenous Chinese religion of Taoism, although their identities weren’t strictly fixed until the Ming Dynasty (1368-1644). 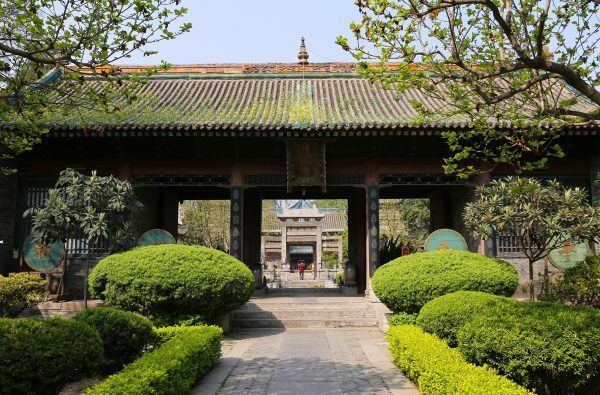 In-keeping with the grandeur that surrounds these mythical figures, the 8 Immortals Temple is the largest Taoist temple in Xi’an and has a particularly special historical pedigree. In 1900, an international military coalition known as the Eight-Nation Alliance was formed by Japan, Russia, Britain, France, the United States, Germany, Italy, and Austria-Hungary as a response to the ongoing Boxer Rebellion, which had been responsible for the deaths of numerous foreign missionaries. In that same year, the alliance’s armed forces invaded and occupied Beijing, forcing the ruling Emperor Guangxu and his mother Empress Dowager Cixi to flee to Xi’an. They sought refuge within the 8 Immortals Temple, which is now occasionally referred to as the 8 Immortals Palace because it briefly served as the residence of royalty. After Emperor Guangxu and Empress Dowager Cixi were able to safely return to Beijing, they donated substantial amounts of silver to fund the renovation of the temple and a board inscribed by Empress Dowager Cixi herself still hangs within one of its halls. Read more about the 8 Immortals Temple here. Nestled within the Muslim Quarter in the city of Xi’an, the Great Mosque is the largest of its kind in China and, alongside being a popular tourist site, remains an active place of worship to this day. 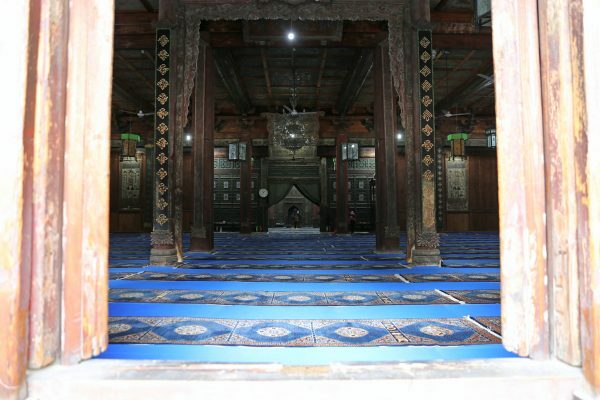 What makes this mosque particularly unique is that it combines traditional Chinese architectural features with Islamic ones, looking from the outside like a typical Chinese temple but bearing the hallmarks of an Islamic mosque within its interior. According to historical records engraved on a stone tablet within the complex, the original mosque was built on this site in 742 AD, during the Tang Dynasty (618-907). 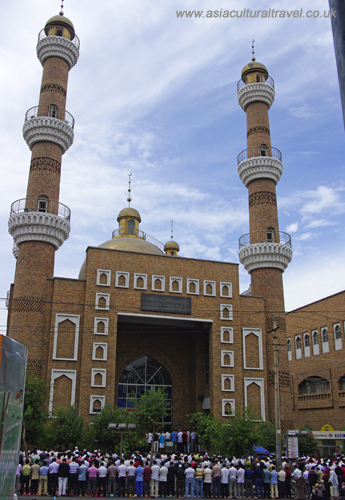 This mosque was built in order to accommodate the many merchants and travellers from Central Asia who settled in Xi’an, the then capital of China, and introduced Islam to the country. Sprawling across an area of 12,000 square metres (14,352 sq. yd. ), the Great Mosque of Xi’an contains over twenty different buildings. Unlike a typical mosque, it is made up of pavilions and pagodas, and is laid out much like a Chinese temple, with successive courtyards following a single axis. The major way in which it differs from a Chinese temple, however, is that its grand axis is aligned from east to west in order to face Mecca, rather than from north to south in accordance with traditional feng shui practices. In-keeping with Islamic tradition, the mosque is richly decorated with geometric and floral motifs, but contains few depictions of living creatures, the only exception being occasional images of dragons. Fabulous works of calligraphy are displayed throughout the complex, some of which are in Chinese, some of which are in Arabic, and a handful of which are in a fusion of styles referred to as “Sini”, which consists of Arabic text written in a traditionally Chinese calligraphic style. Historian Sima Qian recorded that the building of Qin Shi Huang’s mausoleum began in 246 B.C., when the Emperor was only 13 years old, and supposedly took over 700,000 labourers and 11 years to complete. The mausoleum was designed to protect the Emperor and provide him with everything he would need in the afterlife. Thus the mausoleum is a necropolis, an immemorial, stone representation of the palace that Qin Shi Huang occupied in life, with offices, halls, stables, towers, ornaments, officials, acrobats and, most importantly, a lifelike replica of his army. The presence of the necropolis was corroborated by Sima Qian, who mentions all of the features of the Mausoleum except, rather bizarrely, the Terracotta Army. After the death of the Emperor in 210 B.C., the Mausoleum was hermetically-sealed and remained unopened for nearly 2,000 years. It wasn’t until 1974, when some farmers were attempting to dig a water-well near Mount Li, that Pit one of the Terracotta Army was accidentally unearthed. Archaeologists flocked to the site and began excavating the area, eventually discovering three more pits of Terracotta Warriors in the process. 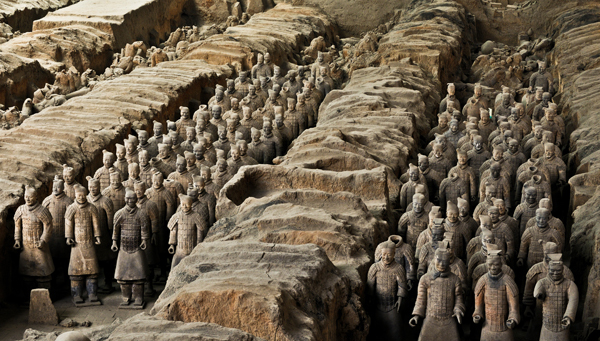 The warriors were all found arranged as if to protect the tomb from the east, which is where all of the states that were conquered by the Qin Dynasty lay. To date, approximately 8,000 soldiers, 130 chariots with 520 horses and 150 cavalry horses have been uncovered from these pits. Read more about The Terracotta Army. 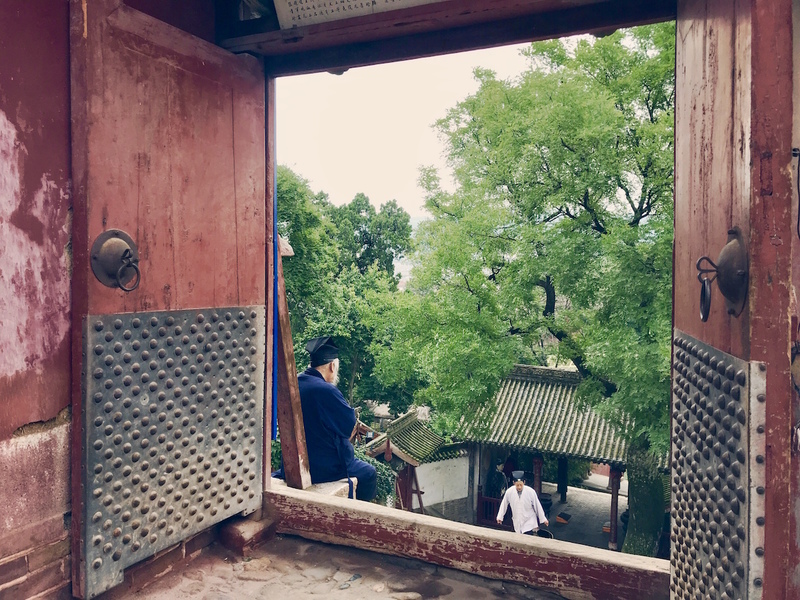 With a history stretching back over 400 years, the Gao Family Mansion is the ideal place to experience what ancient life would have been like in the rapidly expanding metropolis of Xi’an. Its entrance is an unassuming gate on the side of Beiyuanmen Street in the city’s bustling Muslim Quarter and it offers a slice of tranquillity amongst the lively chaos of this popular dining area. This venerable mansion was originally established during the Ming Dynasty (1368-1644) and served as the former residence of a scholar-official named Gao Yuesong. During his illustrious career, Gao Yuesong achieved the second highest mark in the imperial examination and was awarded with this mansion by the reigning Chongzhen Emperor for his loyal service as an imperial official. His story might be worth mentioning next time you talk to your boss about Christmas bonuses! 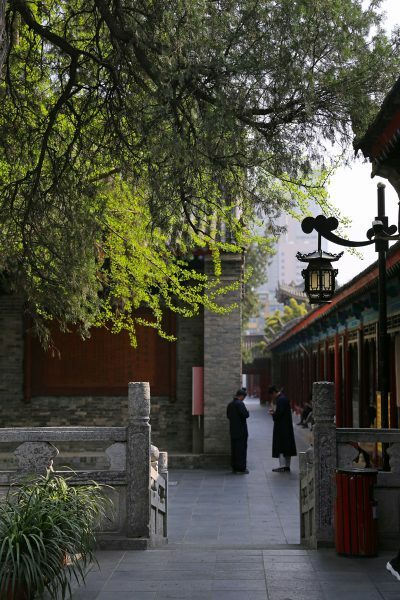 Nowadays, the Gao Family Mansion acts as a beacon of ancient culture in the city of Xi’an. Every day, performances of traditional Chinese opera and Shadow Puppetry take place on its main stage. Shadow Puppetry is a type of performance that uses simple colourful figures made from leather or paper to act out its stories and is believed to have originated in Shaanxi province during the Han Dynasty (206 BC–220 AD). 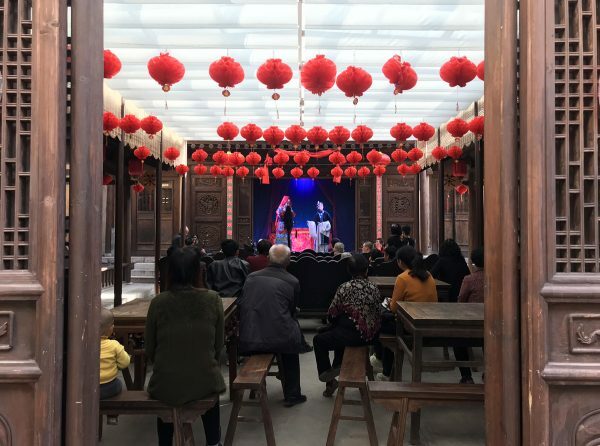 In-keeping with this local flavour, both the opera and shadow puppet shows at the mansion utilise the local dialect of Shaanxi province and the stories they tell revolve around popular folk legends. These lively performances are complemented by classes on the traditional Chinese art of papercutting and peaceful tea ceremonies at the courtyard teahouse. Read more about the Gao Family Mansion here. Nestled within the bustling city of Tianshui, the Hu Family Mansion looks somewhat out of place among the modern shops and skyscrapers that surround it. It once served as the private home of the wealthy Hu clan and was originally constructed during the Ming Dynasty (1368-1644) by an official named Hu Laijin, with the help of his son Hu Xi. What makes the Hu Family Mansion so unique is that it conforms to a traditional style of Chinese architecture known as a “siheyuan” or “quadrangle courtyard”, which is extremely unusual in northwestern China. Nowadays, it has been opened to the public and decorated with gorgeous period furnishings, with detailed descriptions of every room’s function clearly signposted. From the rich jade-green bamboo that grows within its courtyards to the intricate woodcuttings that bedeck its interior, the Hu Family Mansion was designed to be as aesthetically pleasing as possible and is a real feast for the eyes. 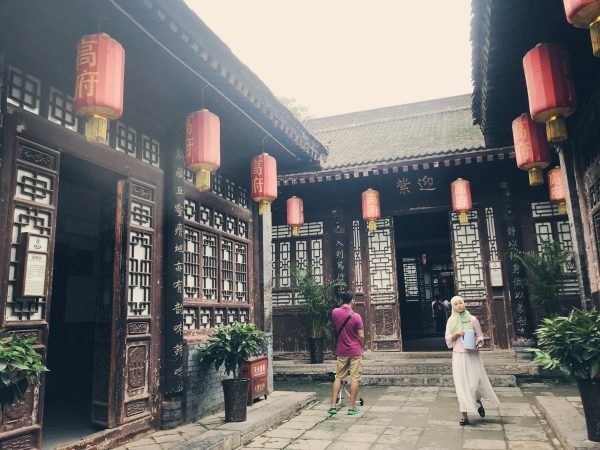 Wandering through this tranquil mansion is sure to give you a clear idea of the simple yet scholarly lifestyle enjoyed by many Ming Dynasty officials. 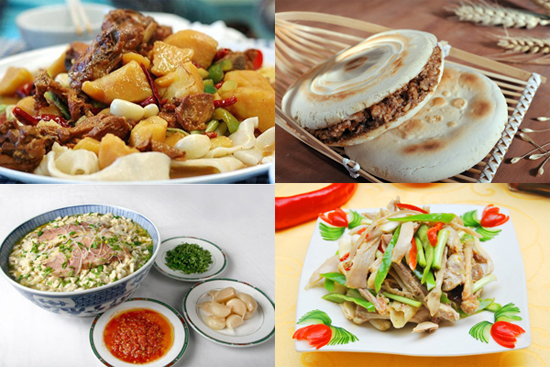 Sample the traditional cuisine of the Han, Hui and Uyghur ethnic groups. Please Note: You can choose to stick to this tour entirely, or you can just incorporate it into your wider plans to travel across China. We can provide you with information and help you with any other travel plans you may have if you need us to. We also provide a hotel booking service and a flight or train booking service for all of our members’ traveling in China outside of the 15 designated days of the tour. We will also provide a consultancy service for you, which will help you to plan your journey across China and give you useful tips on traveling in China. Meeting point: Xi’an airport or you can come to the hotel directly by yourself. Note: If you decide to take the train from another city in China to Xi’an, please let us know in advance and we can meet you either at the hotel or the railway station. If you need any help making travel arrangements, please don’t hesitate to ask us! Dinner: Included. We will enjoy a welcome dinner together, where we will sample traditional Shaanxi-style cuisine. On this day, we’ll be focusing on two of the three most important religions that influenced Chinese culture. We’ll start with the local Chinese religion of Taoism and pay a visit to a small Taoist temple called the 8 Immortals Temple. It is dedicated to a band of mythical figures known as the 8 Immortals, who feature prominently in traditional Chinese culture. According to historical records, it was originally constructed during the Song Dynasty (960-1279) and continues to be an active house of worship to this day. Once we have finished exploring the temple, we’ll venture out to a nearby antique market and another specialty market for the paper money that is traditionally burned at funerals. It is believed that, once burned, this paper money will pass on to the deceased for use in the afterlife. In the afternoon, we will visit the Giant Wild Goose Pagoda, which stands as a monument to the beginnings of Buddhism in China. Its illustrious backstory began during the Tang Dynasty (618-907), when the famous monk Xuanzang took over as abbot of Da Ci’en Temple and beseeched Emperor Gaozong to allow him to build a pagoda. What’s Included: Entrance ticket to the 8 Immortals Temple; entrance ticket to the Giant Wild Goose Pagoda. Dinner: Not included. Guests are free to explore the area and sample the local food themselves, or our guide can help arrange for you to have dinner together. We will travel to this internationally renowned attraction via private mini coach and spend roughly 4 hours there so that we can explore everything the museum has to offer. In the afternoon, once we have returned to the city centre, let’s explore the Muslim Quarter. Before we sample the exotic and delicious local dishes on offer there, we’ll visit the Great Mosque of Xi’an. 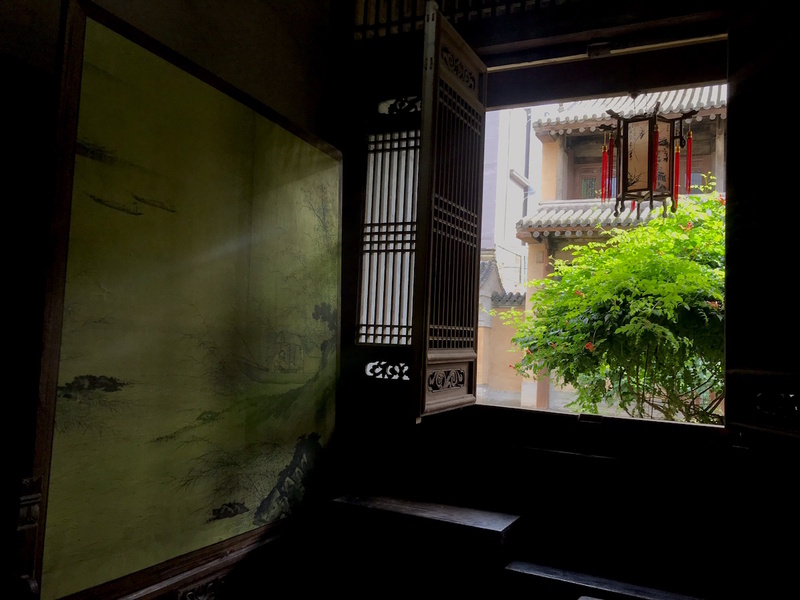 Perhaps the most interesting part of the day might be our visit to the ancient Gao Family Mansion, where we can enjoy a traditional Qiang Opera performance and a Shadow Puppet Show. Once we have finished our tour of the main attractions in the Muslim Quarter, you’ll be free to explore the area at your leisure and sample any of the food that catches your eye. Your guide will be on hand to offer recommendations and to translate if you need them to. What’s Included: Entrance ticket to the Museum of the Qin Terracotta Warriors and Horses; entrance ticket to the Great Mosque; entrance ticket to the Gao Mansion; tickets for the Qiang Opera performance and the Shadow Puppet show. Dinner: Not included. Guests are free to explore the Muslim Quarter and sample the local food themselves. In the morning, we will take the high speed train from Xi’an to Tianshui. There we will visit an old mansion that once belonged to the wealthy Hu family. It is a traditional compound built in the Han-style and is a rare sight as there are very few old Han-style mansions in the western part of China. What’s Included: Entrance ticket to the Hu Family Mansion. Dinner: Included. We will sample some of the signature dishes from the local cuisine together. 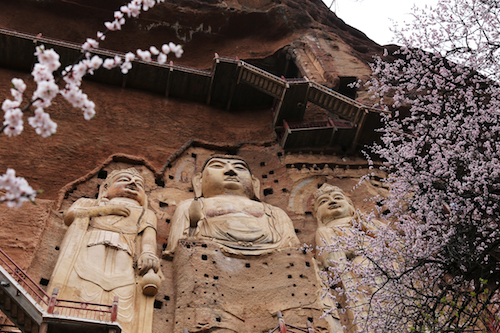 In the morning, we will take the bus from Tianshui to the entrance of the Maijishan Grottoes. Once we have purchased our tickets, we will then take a shuttle bus from the entrance to the main scenic area. We have dedicated the whole day to this attraction, so please take your time exploring the grottoes and admiring all of the beautiful statues inside. What’s Included: Entrance ticket to the Maijishan Grottoes. We will spend the morning exploring a beautiful “hidden temple” located on a hill, which few tourists know about. Not only is Yuquan Temple a beacon of Taoist culture, it is also a very beautiful and peaceful place, resplendent with many towering trees that are over 1,000 years old! In the afternoon, we will take the high speed train to Zhangye, which will take approximately 5 hours. What’s Included: Entrance ticket to Yuquan Temple. Dinner: Not included. We recommend you either buy one of the pre-prepared hot meals that are for sale on the train or bring some food with you. In the morning, we’ll take a private mini coach out into the countryside surrounding Zhangye in order to visit the Mati or “Horse’s Hoof” Temple. 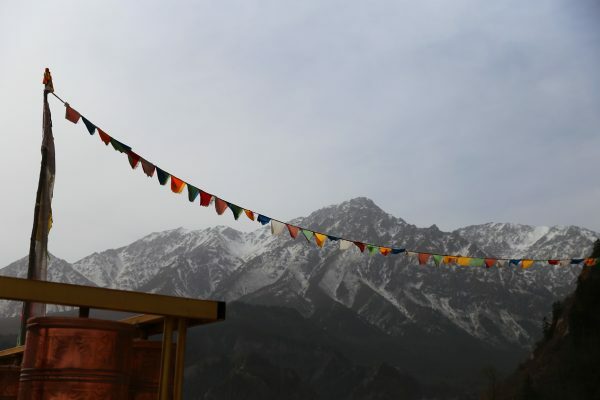 From the scenic area, we’ll be treated to a stunning panoramic view of the snow-capped Qilian Mountains. At midday, we will return to the city centre to have lunch before driving out to the Zhangye Danxia Landform Geopark. The afternoon will be the best time to enjoy the incredible Danxia Landforms before the sunset. What’s Included: Entrance ticket to the Horse’s Hoof Temple; entrance ticket to the Zhangye Danxia Landform Geopark. In the morning, prepare to be amazed as we visit the Giant Buddha Temple in Zhangye. You may find that the word “giant” is an understatement, as the statue of the Reclining Buddha within the temple is truly huge! 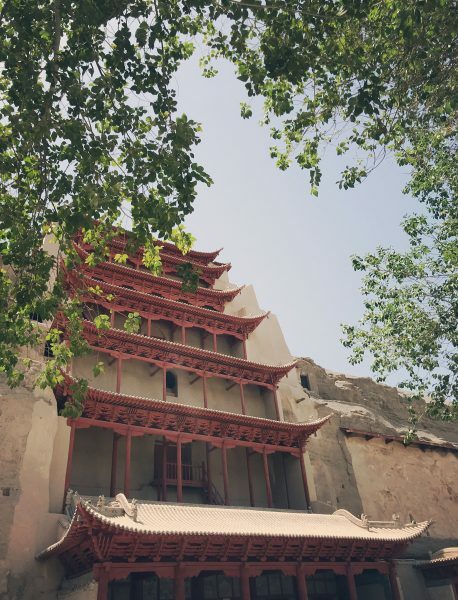 Alongside the temple complex, we will also visit an ancient block of buildings that originally served as the Merchants Guild Hall for the famously astute businessmen of Shanxi province. In the afternoon, we will take the high speed train to Jiayuguan, which will only take about 80 minutes. This will leave us with plenty of time to visit the first pass of the Great Wall: Jiayu Pass. What’s Included: Entrance ticket to the Giant Buddha Temple; entrance ticket to Jiayu Pass. Throughout the train journey, we will pass by the breathtaking scenery of the Gobi Desert and the snow covered Qilian Mountains. Since we will be booking on to the sleeper train, you will also get the chance to experience what it is like in the sleeper coach of a Chinese train! Although we will be traveling during the day, having a bed on the sleeper train will mean you’ll have more space to relax during the long journey. 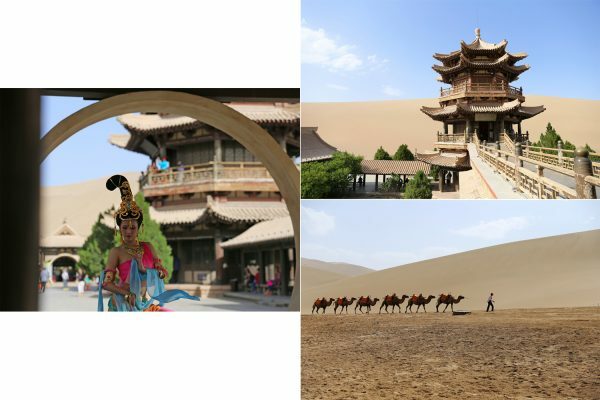 After our train journey through the Gobi Desert, we will have lunch in Dunhuang and then you’ll have a couple of hours to rest in the hotel, since the best time to visit Crescent Lake and the Singing Sand Dunes is in the evening. 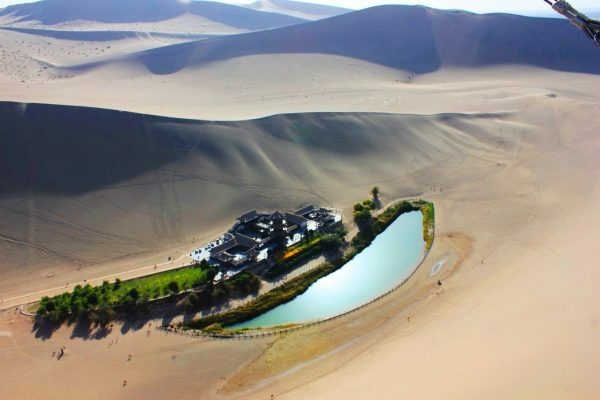 Crescent Lake, which is widely considered to be the most beautiful oasis in the Gobi Desert, is a nature lover’s paradise. You can take part in all kinds of activities there, including sandboarding, paragliding, and camel riding. What’s Included: Entrance ticket to Crescent Lake. We will take our private mini coach into the Gobi Desert in order to explore a magnificent but lesser-known grotto complex called the Yulin Grottoes. 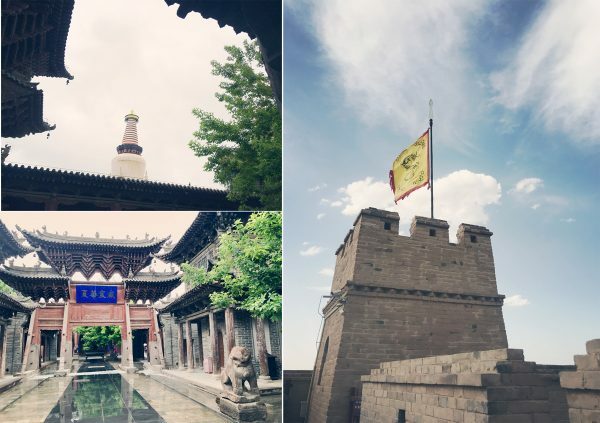 After admiring the beautiful statues and murals, we’ll take a trip to visit the relics of an ancient city known as Suoyang, which was once an important market town on the Silk Road over hundreds of years ago. What’s Included: Entrance ticket to the Yulin Grottoes; entrance ticket to the Suoyang Relics. Dinner: Not included. We recommend that you take the time to explore the Shazhou Night Market together, as it’s a great place to sample some of the finest local cuisine. You may still be in awe of the Danxia Landform in Zhangye, but rest assured, the Yardang Landform is just as unbelievably beautiful. We will take our private mini coach to the Yardang National Park. The magnificent yardangs create an alien landscape that is unlike anything you’ve ever seen before. 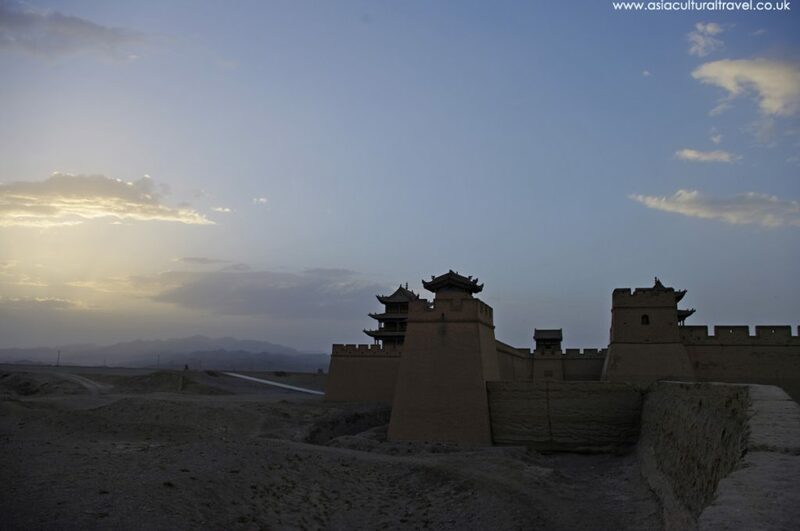 On the way back to Dunhuang, we will visit the Yumen Pass relics and the Great Wall relics from the Han Dynasty (206 BC–220 AD), which are over 2,000 years old! What’s Included: Entrance ticket to the Yardang National Park; entrance ticket to Yumen Pass and the Han Dynasty Great Wall relics. Now it’s time to focus on more manmade wonders by taking a trip to the Mogao Grottoes. We will join one of the English guided groups organised by the tourist administration at Mogao. 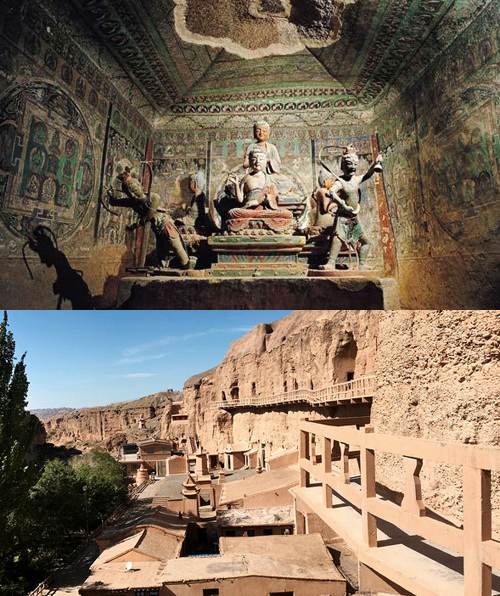 Before the tour, we will be treated to a screening of two movies: one about the history of the Mogao Grottoes; and one displayed on a panoramic screen that shows the interior of several grottoes that aren’t currently open to the public. In the afternoon, we will take our private mini coach to the railway station and take the high speed train to Turpan. What’s Included: Entrance ticket to the Mogao Grottoes. Dinner: Included. We will sample some of the signature dishes from the traditional cuisine of the Uyghur ethnic minority. The ancient Jiaohe Relics are undoubtedly impressive, but we reckon you’ll be more surprised by the incredible land view of the Turpan Basin. What’s Included: Entrance ticket to the Jiaohe Relics. In the morning, we will go to visit the most beautiful mosque in eastern Xinjiang, the Emin Minaret. Once we have finished exploring this stunning work of architecture, we will catch the high speed train to Ürümqi. During the train journey to Ürümqi, you will have the chance to enjoy scenic views of both Mount Tian Shan and the Xinjiang portion of the Gobi Desert. 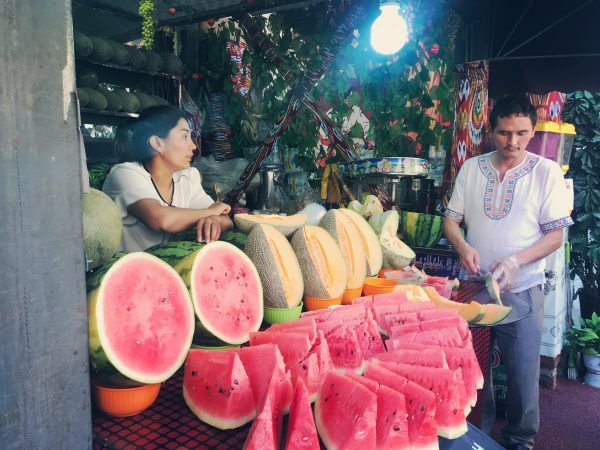 In the afternoon, we will visit the Grand Bazaar to explore the sprawling marketplace and experience authentic Uyghur culture. What’s Included: Entrance ticket to the Emin Minaret; entrance ticket to the Grand Bazaar. Dinner: Included. We will sample some of the signature dishes from the traditional cuisine of the Hui ethnic minority. Day 15 Your Onward Journey On your final day with us, you can either choose to embark on your return journey home or continue your travels. If you decide to continue traveling, we’ll be on hand to help you book any travel tickets or hotels should you need us to. If you need any recommendations on where to travel, please do not hesitate to ask us. Including: 14 nights of accommodation; all entrance fees to the attractions mentioned in the itinerary; 7 dinners; all breakfasts; all transportation fees during the designated tour times; the services of an English speaking guide; a pdf file with useful information about the Silk Road; and any further help or information we can provide if you decide to continue traveling in China after the tour. Accommodation: We will stay in 4-star and 3-star hotels for the entirety of our trip (14 nights). Food: Breakfast will be provided every day and we will also provide 7 dinners consisting of local cuisine in each city. Aside from this, you are welcome to explore the local restaurants and sample the signature dishes by yourself, although we will always be on hand to translate for you and help you order. Transportation: The high-speed train tickets from Xi’an to Tianshui, Tianshui to Zhangye, Zhangye to Jiayuguan, Dunhuang North (Liuyuan) to Turpan, Turpan to Ürümqi; the sleeper train ticket from Jiayuguan to Dunhuang; the private minivan we will use to visit attractions; and any public buses or taxis we use during designated tour times are all included in the tour price. Duration: 15 days and 14 nights.